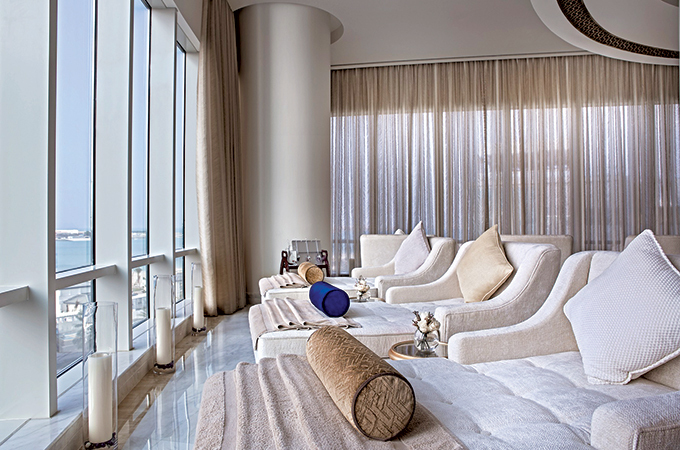 Frequent travellers should keep the award-winning Remède Spa at The St. Regis Abu Dhabi on speed dial. The 75-minute jet lag recovery treatment recently introduced by Abu Dhabi’s favourite luxury hotel reduces fatigue and stimulates circulation as you allow your body’s internal clock to adjust to its new time zone. And it is endorsed by the UAE’s national carrier Etihad Airways. Guests presenting a boarding pass can save Dh100 ($27.22) and pay only Dh495 ($134.76) for the treatment. This package includes a 30-minute customised back massage, 30-minute hydrating facial – a refreshing boost for the skin, ideal for pre- and post-travel to deeply hydrate and revitalise – and a 15-minute foot massage. One can rejuvenate afterwards in the spa’s wet areas including Jacuzzi, sauna and steam room, available separately for ladies and gentlemen. One of the UAE’s largest spas at 3,000 square metres, Remède Spa is renowned for its tradition of personalised spa treatments and offers 25 different bespoke facials, massages, body treatments, and spa packages for both ladies and gentlemen given by highly trained masseurs and aestheticians.